Most people that know me, know my Mikey as well, and probably know a bit about 22q deletion syndrome. But lots of other people do not, and many are curious about it as well. Often, I run into people that have children with potential symptoms that may be misdiagnosed. It is still frustrating for me that doctors seem unwilling or incapable of doing the proper tests to diagnose these children. 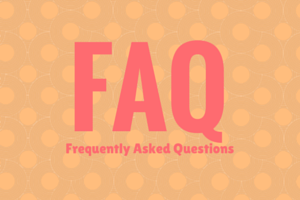 Here are some FAQs (frequently asked questions) that might be helpful. 22q is one of the most common medical conditions that you’ve never heard of, occuring 1 in 2,000 to 4,000 live births. Experts feel this is grossly underestimated, and that it is nearly as common as Down syndrome. Still, many doctors are unfamilar with the wide range of symptoms and often overlook 22q as a cause for a child’s problems. 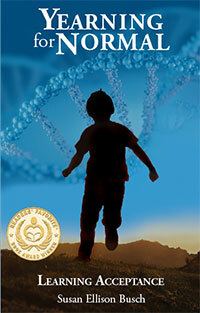 There are genetic blood test to identify the 22q11.2 deletion. These include: comparative genomic hybridization (CGH), FISH (fluorescence in situ hybridization), multiplex ligation-probe amplification (MLPA), and whole genome or SNP array. Routine chromosome studies are notoriously fallible; they are only able to identify the deletion about a quarter of the time. For the most part, it does not seem to be hereditary. Parents that do not have the deletion themselves are not more likely to have a second child affected by 22q. However, someone with the deletion does have a 50 percent chance of passing it to his or her own child. There is a wide range of symptoms in 22q, some mild and some quite severe, and there is no way to know the severity of any problems will be for a child. One critical thing to remember is that genetic problems are out of control and not the fault of the parents in any way. Hi, my 8week son was diagnosed with vcsf yesterday. I am scared, devastated, and fearful of the unknown. I am sorry it has taken me so long to respond. This website is new and I didn’t realize that you had left a comment. You didn’t mention how your son was diagnosed. Many times children with 22Q have many medical problems as infants which they then outgrow. I can understand your fear, but don’t be afraid. The future is unknown to every one of us. There is a huge variability on how the diagnosis will affect your son’s life. Some people live their entire lives not even knowing that they have the deletion. I don’t know and can’t predict the challenges you will encounter, or not, in the raising of your son because everyone is different. I want you to know that there is help and support and lots of love in the journey. There are a number of 22Q clinics and much research going on to help make your and your child’s life easier. Since you found me, I assume you found a number of other support sites for parents of newly diagnosed children. 22q International and the Dempster Foundation are good places to start. There are also a number of parent support groups on Facebook. You will find many mentors to help you along the way. Take one day at a time. Probably the best advice I can give you is to love your son, enjoy the good days, and accept him totally as he is. Take care of yourself also. Take time out to get a break and have some fun. Our journey with our son was not an easy one. We all grew together. He is now 32, still driving me crazy at times, but life is good for all of us. Living with 22Q Deletion Syndrome is do-able.